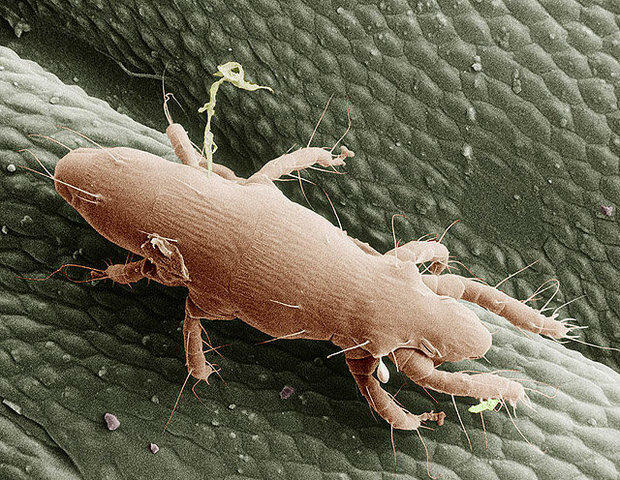 Bed bugs are back, and they’ve become a problem in Kansas City. The Shawnee branch of the Johnson County Library has been closed since Friday after librarians discovered bed bugs inside the pages of a returned book. 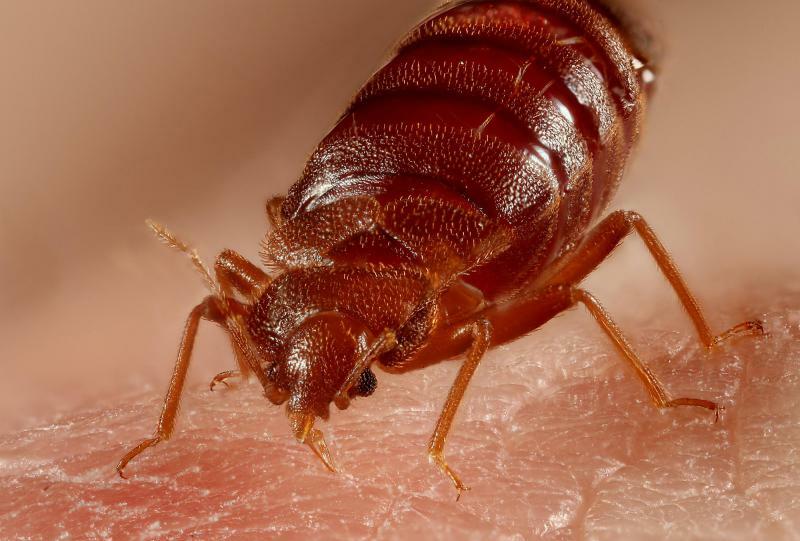 Since then, library officials have been working to deep clean the branch of bed bugs, including using bug-sniffing dogs, working with a fumigator, and baking the infested materials. Seg. 1: Aaron Rahsaan Thomas. Seg. 2: Mosquitos. Seg. 3: Karen Lisondra. Segment 1: Meet Aaron Rahsaan Thomas. He's a screenwriter and producer who is originally from KCK. Last week, he was in a photo of black creatives in Hollywood that went viral. Hear his story — and how that photo changed how some people see race in the industry. 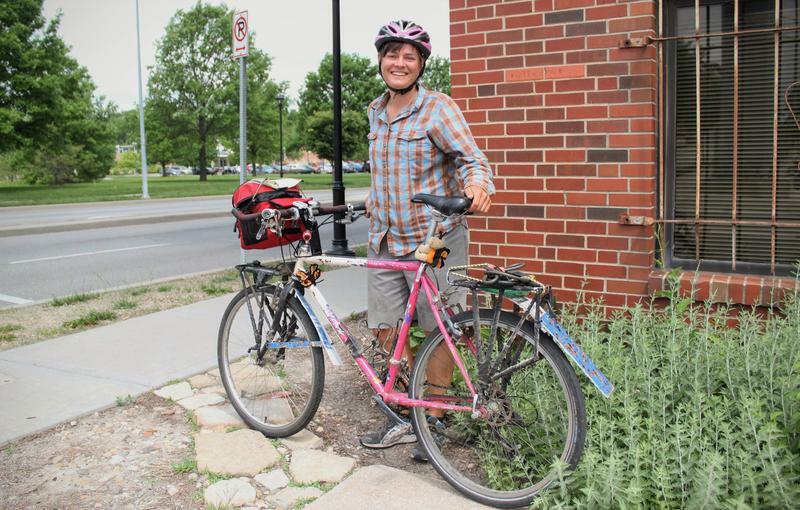 Segment 2, beginning at 17:56: Mosquito experts swarm KC. That's how many years it's been since the last time this summer's brood of cicadas came out of the ground. Why do they spend so long underground? What do they do down there? And should you consider eating them? Bonus sounds: Will Smith's Gettin' Jiggy Wit It and live cicadas in-studio. Abby Cornelius, a homeowner in Martin City, Missouri, sees them everywhere. They're in the grass, crouching on leaves, swimming in the dog bowl, and hanging out on the grill — dead or alive. Last Sunday, she noticed her newly cleaned gutters were suspiciously clogged. 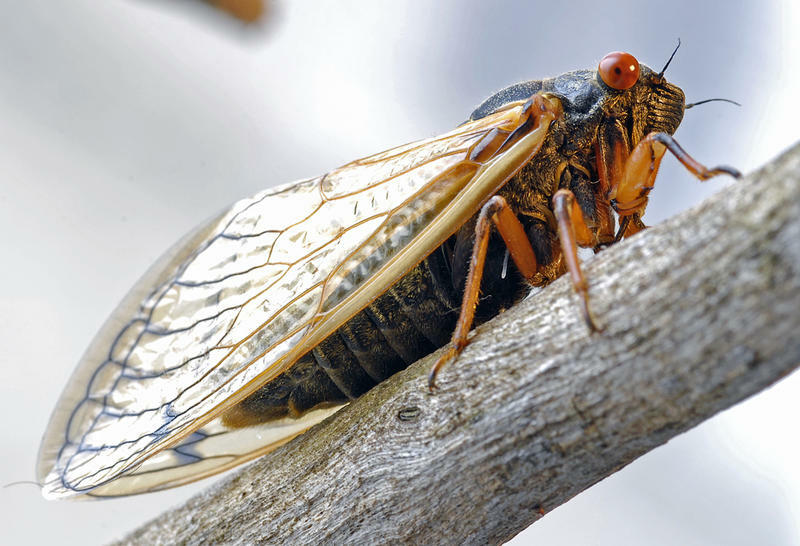 “I crawled out the window to take a look and had to scoop dead cicadas out of them,” she said in an email. “The shells will probably have to be power washed off the house." 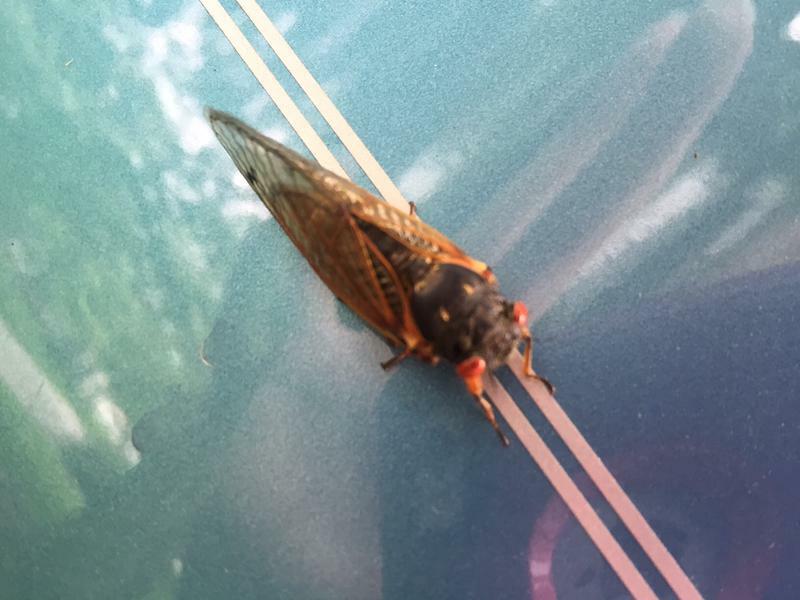 The cicadas that have invaded Cornelius’ yard are periodical cicadas. They live just a few feet underground for the majority of their lives and emerge in great numbers every 17 years to reproduce. Last seen in 1998, the 17-year Brood IV, or Kansan Brood, broke ground this summer in the Kansas City area, reportedly hugging trees and covering tires in some neighborhoods. What were you doing in 1998? Getting down to the Top 40 chart-topper "Too Close"? Showing outrage over President Bill Clinton's adulterous proclivities? Perhaps still dealing with 56k modems to check your America Online email? Is Corn Dust Killing Bees? Nathan Anderson stops his red pick-up truck alongside a cornfield on his farm near Cherokee, Iowa. The young farmer pulls on a heavy brown hoodie, thick, long, sturdy gloves and a beekeeper’s hat with a screened veil. 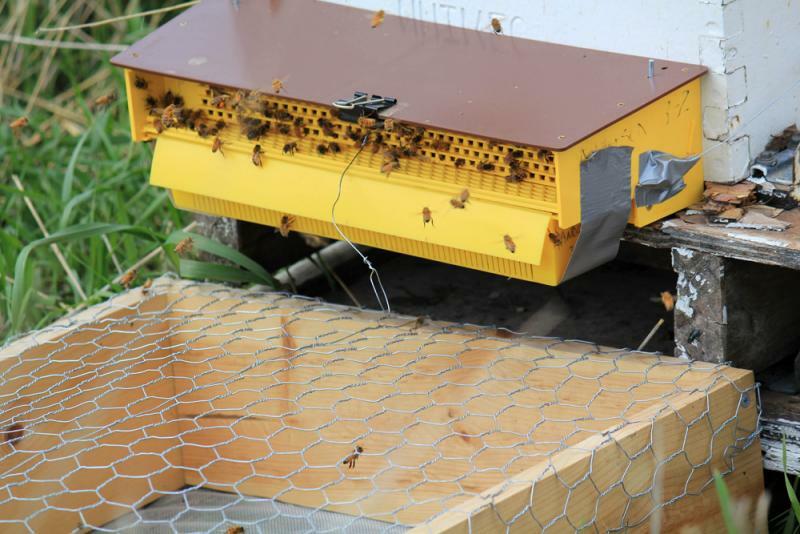 He approaches a pair of hives sitting on the edge of a field recently planted with corn and adjusts a yellow plastic flap that traps some of the pollen the bees bring back to their hive. 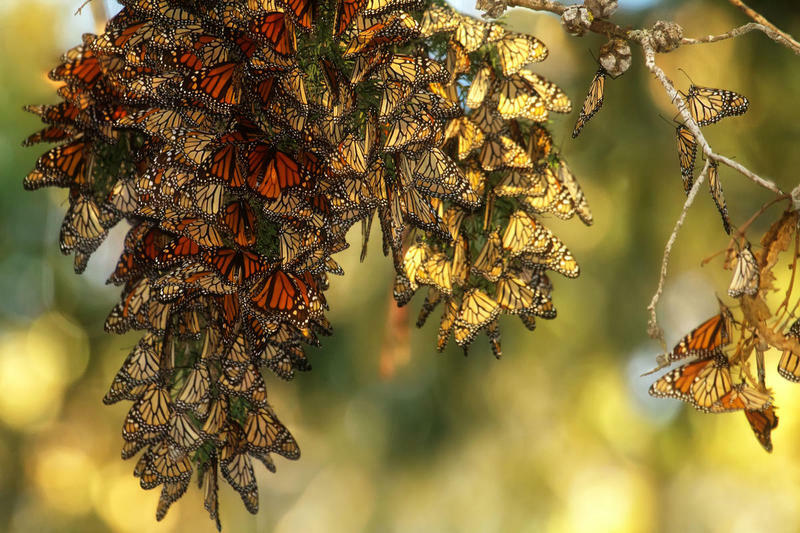 Who doesn’t love Monarch Butterflies? Could you imagine the loss we would feel if they disappeared? Our guest on Central Standard today will talk to us about the decline of monarch butterfly populations. It comes down to a loss of habitat. We discuss the severity of the situation and what we can do to help turn things around? We also discuss threats to bees and the implications of having another pollinator at risk. Our guest works for K-U. Orley “Chip” Taylor is a trained insect ecologist and founded Monarch Watch some 20-years ago. 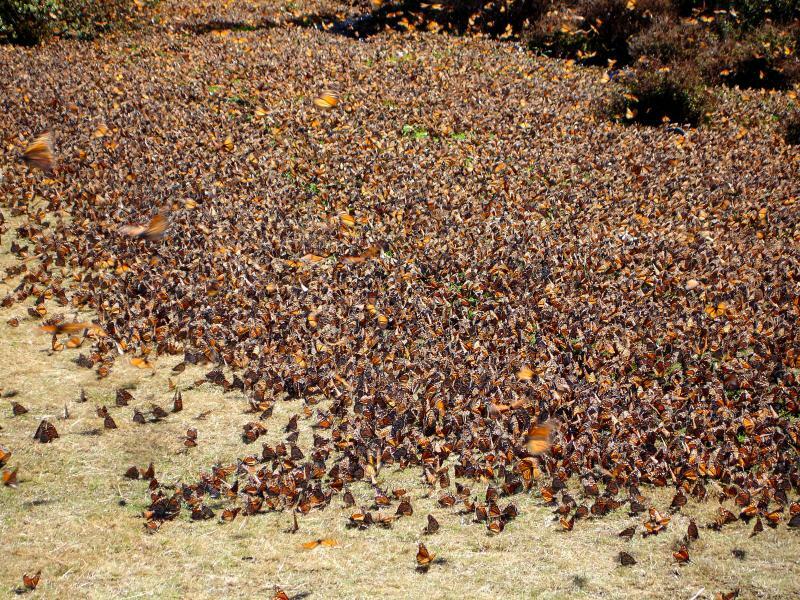 It’s an opportunity to learn about monarch butterflies…. For the first time ever, an endangered species has been released back into Missouri prairies. 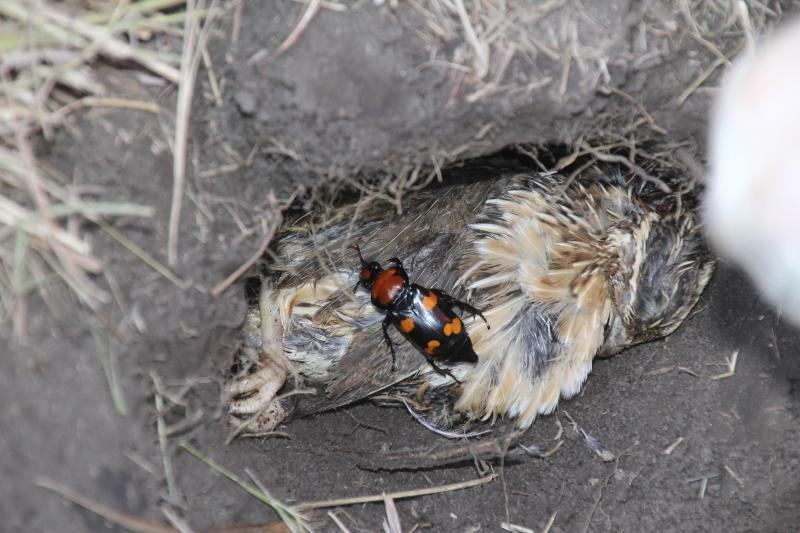 The American Burying Beetle may be back on its way to thriving, though in this beetle's world, thriving means living underground and feasting on meatballs. Missouri and Kansas lawmakers wrap up their legislative sessions. Corn farmers are expecting record breaking crop. Missouri agriculture officials work to create a buzz about bees. It’s a roundup of daily headlines from KCUR.